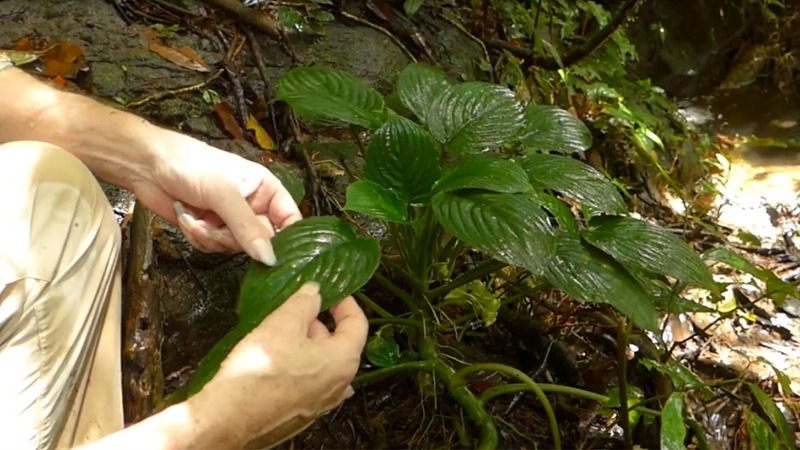 Engaging in scientific botanic missions since 1972, Dr. Patrick Blanc searches the tropical jungles, temperate forests, and exotic, complex biomes of the world always looking for new plant species discoveries for inclusion in horticulture and botanical gardens. In discovery of beautiful and hardy plants that naturally grow in a variety of degrees of vertical and horizontal circumstances with very or no soil whatsoever, many of these are candidates for his community of plants embedded into his Vertical Gardens or le Mur Végétal. Renown for their multi-abundance of species – many native and all adaptive – to the changing temperatures, light orientations, humidity levels, and other physical characteristics, Patrick’s chosen species share a common cultural and historical heritage which at least theoretically could thrive on a building’s facade. His most recent journey took Patrick to the tropics of West Sumatra in Indonesia in December, 2016. Filmed by Pascal Heni, the two visited many locales including Padang, the capital of West Sumatra, through the rice paddies and into the streams, mountains, and waterfalls of Anai Canyon, among understory and epiphytic plants. Join Patrick as they with provide glimpses of traditional ways of life mixed in with the new, and immerse themselves in the lush foliage in search of the incredible Kingdom of the Pentastemona egregia (Schott) Steenis egregius, exceptional, beautiful, and important for its being the only monocotyledon in the world with a symmetry of 5 rather than 3 stamen – a dream for botanists, says Patrick. Included in the genus Pentastemona and family stemonaceae, the entire genus is endemic to the Island of Sumatra. Traveling through Maninjau Lake he examines the local mussels, and visits Harau Valley with its steep rocky cliffs where Patrick tells us many Pandanus species can be found as well as the smallest ginger in the world, Camptandra parvula. Codonobea sp, Phyllagathis rotundifolia, Xyris grandis, and Selaginella sp, spike moss, are also found. On through Bukittinggi, Patrick’s journey culminates in a visit to the village home of Joni, and his Rafflesia arnodii Garden which produces the largest flower in the world. Joni is perhaps the first person in the world to successfully grow Rafflesia on a Tetrastigma (grape) vine, a species of this genus notable as being the sole host of parasitic plants in the family Rafflesiaceae. Patrick Blanc does not agree with Darwin when it comes to competition in the evolution. Rather, he wants to express that in habitats, where there is no competition, an explosion of biodiversity can be observed. Adaptation is not intended to replace plants in the area. Blanc is a botanist, researcher, author, and the inventor of the Mur Végétal or Vertical Garden - plant walls, which enable the introduction of biodiversity onto the concrete walls of towns. A botanist as well as an artist, Patrick observed how plants were able to grow vertically without the need for soil in the wild, and developed a way to create artistic looking vegetation walls that were both lightweight and needed little maintenance. 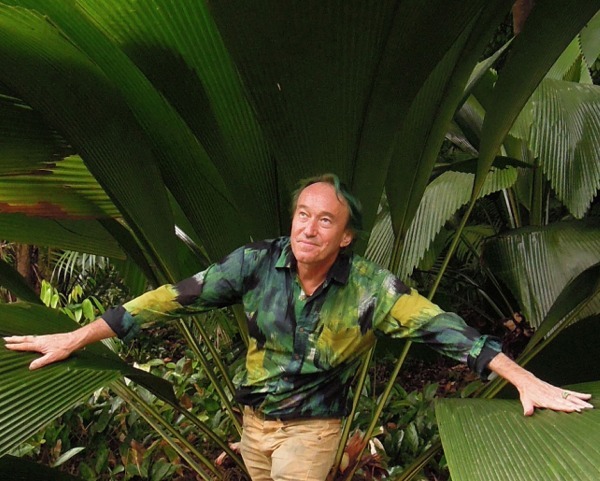 He is known for spectacular living wall projects installed all over the world including the creation of the world's tallest plant installation of climbers on Le Nouvel in Kuala Lumpur (with architect Jean Nouvel), 2015; creation of the world's tallest Vertical Gardens in Sydney (with architect Jean Nouvel), 2013; creation of 67 hanging planted columns, 12 to 18 m high, for the PAMM museum in Miami (architects Herzog & de Meuron), 2013; Caixa Forum Museum Vertical Garden in Madrid, 2007; and the Quai Branly Museum in Paris, 2005, to just name a few.